Hope CommUnity Center believes that access to careers and postsecondary education are important parts of individual and community empowerment! 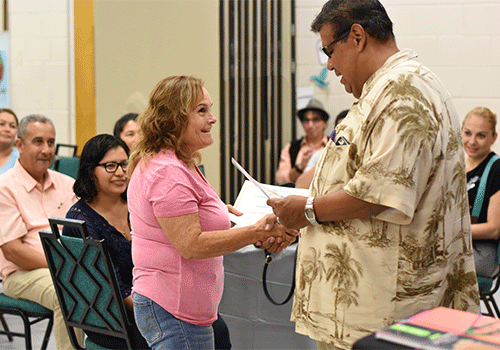 Hope CommUnity Center also offers scholarship funds annually, primarily for students and other individuals involved as a participant or volunteer in center programming. These funds can be applied to costs associated with studying at any technical school, or 2- or 4-year college or university. Last year, Hope gave out $62,500 to 38 students in their journey towards post-secondary success! Hope would like to thank it’s passionate and dedicated donors who make this possible every year. 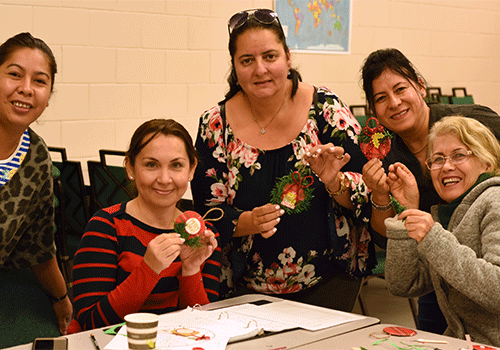 ESOL classes at HCC offer adults the opportunity to learn English in a fun and interactive setting. The classes include Paulo Freire’s popular education model, empowering people to envision what a more just world would look like and to take strategic action to transform society according to that vision. Popular Education challenges traditional hierarchies that place knowledgeable teacher above ignorant student, and active educator above passive learner. 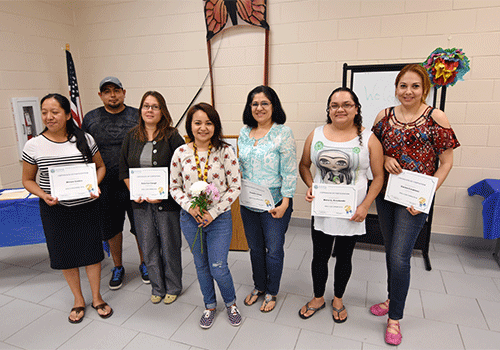 Students interested in participating in the ESOL classes at HCC are given a CASAS assessment which measures English proficiency and then are placed in Level A, Level B, or Level C. Classes take place on Wednesdays and Thursdays from 6:30 pm – 8:30 pm. Space is limited. Basic interactive English for students with limited exposure to the language. Introduction to common English vocabulary and phrases through icebreakers, language games, and practice conversations. Three semesters including units on family, work, home, money, and community. Intermediate interactive English for students with some prior exposure to the language. Focus on conversation, reading, and grammar skills through icebreakers, language games, and class discussions. Three semesters including units on family, work, home, money, and community. Advanced conversational English for students who understand spoken English and can carry extended conversations but would like support in pronunciation, reading, grammar, idioms, and expressing ideas and opinions in the English language. is a basic English and literacy class for immigrant women that meets every Tuesday morning, 9:30am-12pm, from September to May. The program started 7 years ago as a space for women to learn basic English life skills while their children were in school. Since then the program has expanded to include topics such as health and wellness, supporting kids in school, and gender equality. More than 30 students attend the program that is supported by a dedicated team of staff and volunteers. Childcare during class and limited transportation are available. 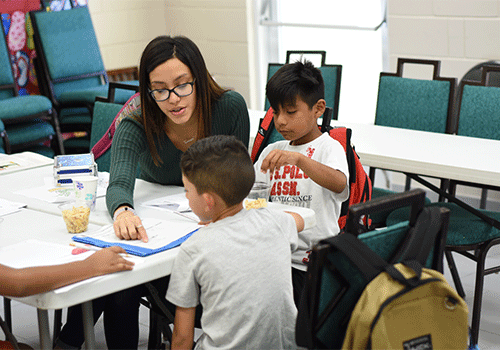 Each week during the school year, a group of 25 elementary school students comes to Hope CommUnity Center after school to practice reading skills, and participate in science and art enrichment activities. Students work with tutors one-on-one and in small groups for 1 hour and 15 minutes each day, two days a week. Tutoring takes place in HCC’s Hawthorne/South campus Mondays-Thursdays from 3:45 PM-5:00 PM. 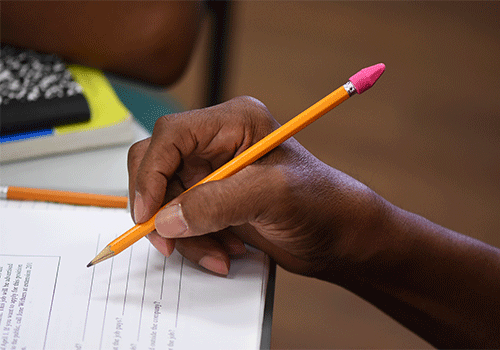 Each student is assigned to two days (2 hours) of tutoring: Mondays and Wednesdays. Space is limited according to the number of tutors. At this time, we have a waiting list. 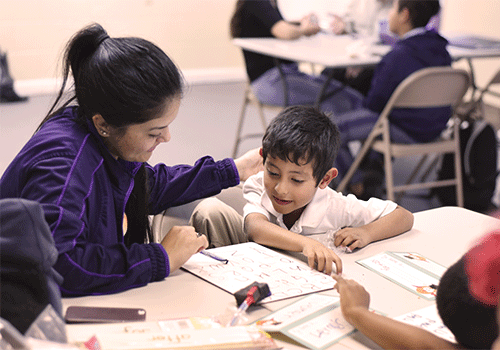 HCC’s approach to tutoring is holistic: we recognize that homework and school are only one part of kids’ lives. Engaging parents and family members in their children’s education is also key. 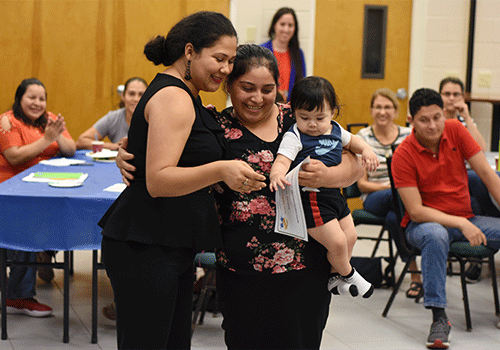 We organize a parent meeting at least once a month to provide parents with a space where they can discuss questions and concerns about their children’s education, as well as share information and knowledge with each other. HCC’s goal is for parents to feel empowered to communicate schools and teachers and make informed decisions for their children.